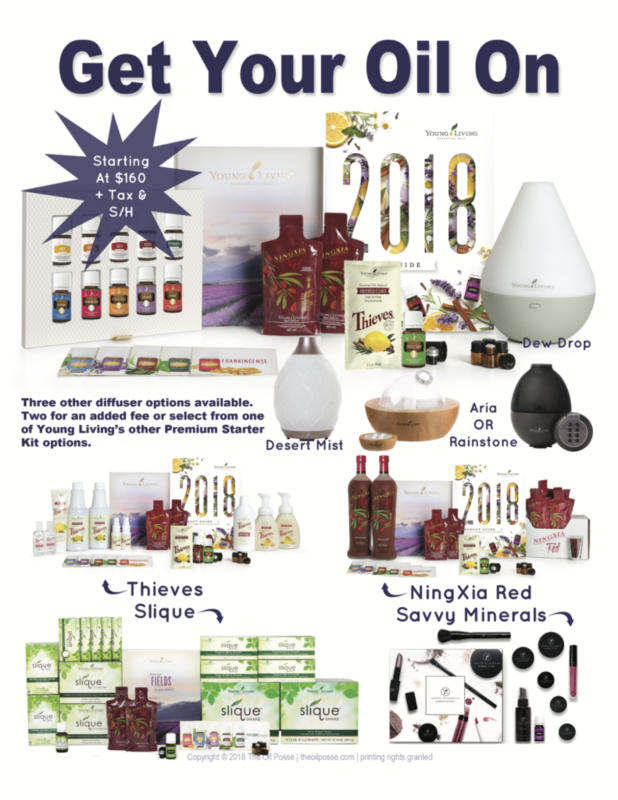 The best way to get started with essential oils is to become a Young Living member by purchasing one of the Premium Starter Kits. With your membership, you’ll save 24% off the retail price of Young Living’s products, and can save more with the monthly promotions. You can get your online membership here today. Oils with a diffuser is a good way to get started on your wellness journey and is the most popular option. You’ll get a chance to choose one of the diffusers shown in the image below. Or, other wellness options include the NingXia Red Kit, the Thieves Kit, or the Savvy Minerals Makeup Kit. Regardless of the Kit you choose, I’m here to educate and help you along the way, and I’d like to offer you a FREE and easy online essential oils class. There are no quizzes or final exam…just fun stuff to learn. Get your Oil on and have some FUN!